Free Photoshop Textures. Free PS Textures. Free Grunge Textures. “Free Textures” you say? Why not! Each and every Tuesday we get a lovely, fuzzy feeling inside. So, we just have to give something away! Accordingly, we present to you yet another high resolution texture file for use in your design or illustrations. Free of charge. Complimentary. Gratis. 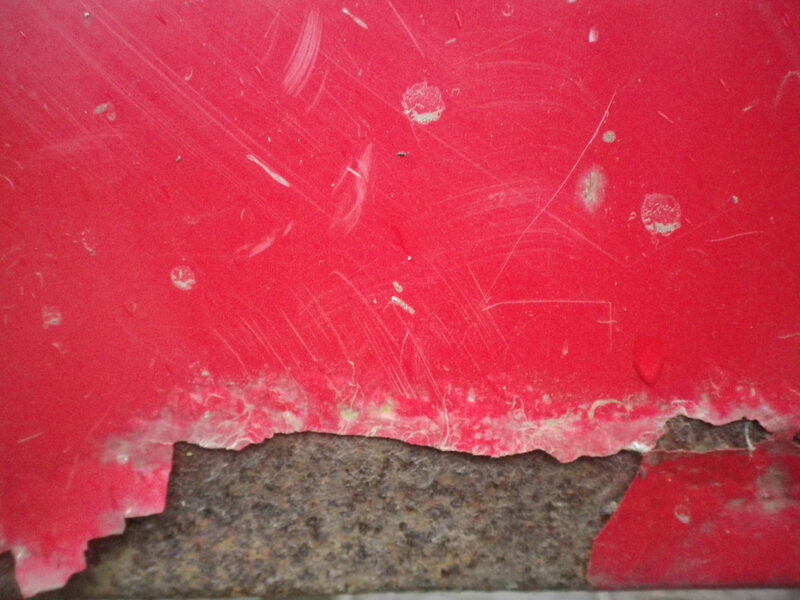 This weeks free texture features chipped paint on metal. This image is perfect for photo editing, ageing artwork or as the background to a web page. Furthermore, no attribution is required. Use it as you like. Download the full sized freebie file below. High resolution photos are great to use as textures with graphics software. The image can be used as is, however converting it into black and white in Photoshop can also be useful. Drag the image into your canvas or artboard. Next, play with different blending modes and opacities. Depending on the image, good blending modes for distressing artwork are Multiply, Overlay and Screen. In addition, several layers of textures with different blending modes can be built up. Layer masks can also be used. You can also lessen the intensity of the texture if desired. More free textures will be uploaded over the coming weeks. A DSLR Camera was used to capture the images. Furthermore, these free photoshop textures are given in the highest resolution available. Look out for free PS textures of wood, metal, concrete and marble. In addition to decollage textures, brickwork and old paper.